The Bega Circular Recessed Wall Luminaire is made from durable stainless steel with an LED lamp. 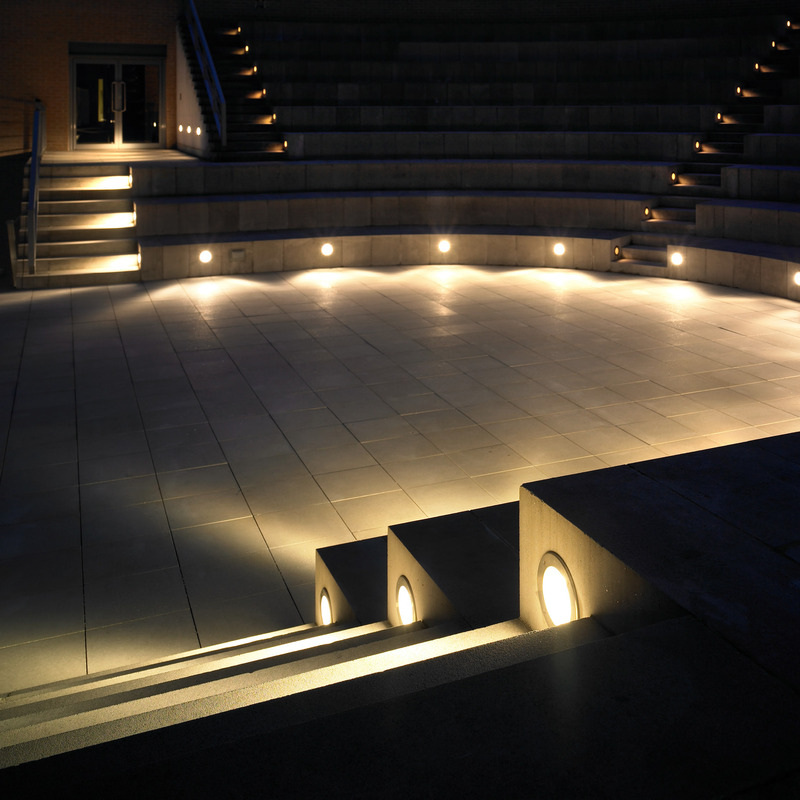 It is available with asymmetrical directional light or unshielded light distribution. 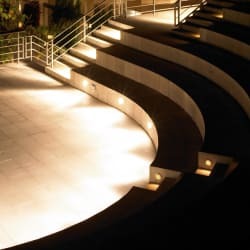 The asymmetrical directional light option is a flat beam that provides a suitable glare-free option for illuminating the ground in low-lit areas, offering a high degree of illuminance on the surface. This makes it ideally suited for deployment on footpaths, stairs and entrances. 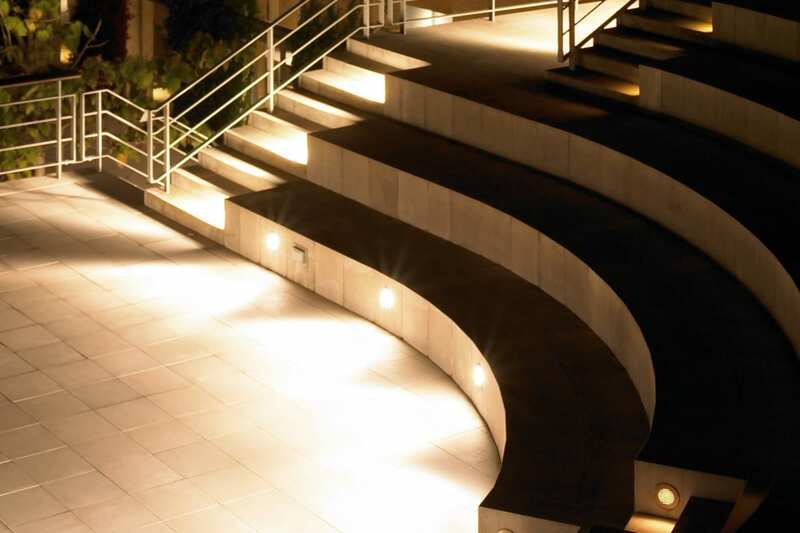 The unshielded light luminaries have a higher ambient brightness to allow wayfinding and directional lighting. 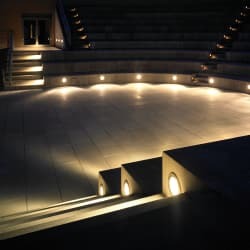 The luminaire’s LED technology coordinates perfectly with a high-quality build to create a product that both looks and performs to the highest standards. The shallow installation depths and a patented mounting system ensure that installation in solid or hollow structures is a simple and economical process. 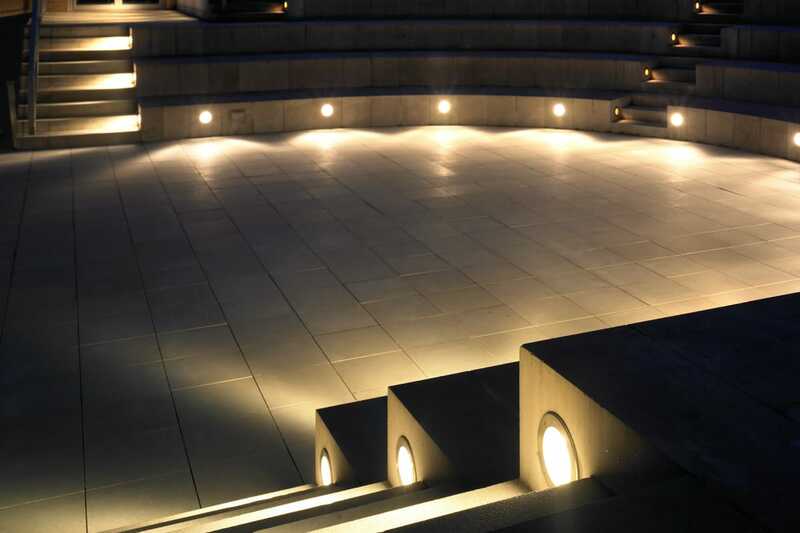 Its LED lights have a minimum service life of 50,000 hours, with a 20-year guarantee for the LED modules.